Isuzu dealers retailed 23,914 Isuzu trucks to customers in 2018 — a record for Isuzu-brand trucks in the United States. 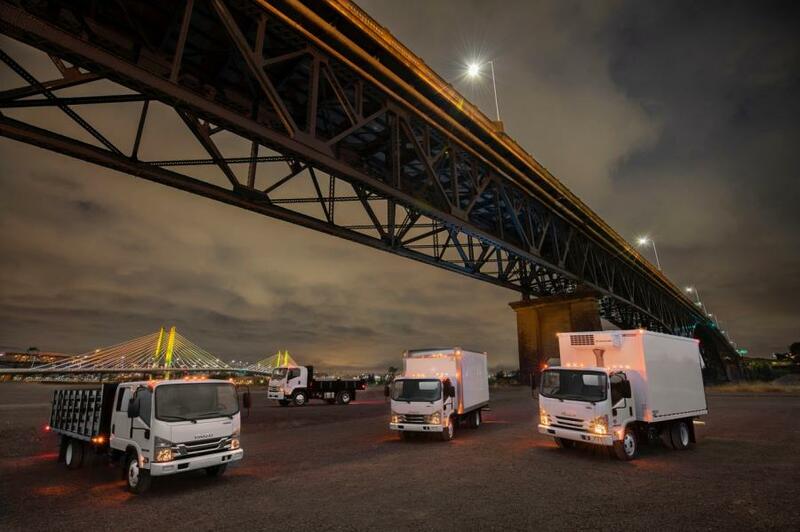 Isuzu Commercial Truck of America Inc. broke multiple sales records in 2018, making last year its new benchmark for sales of Isuzu-brand trucks and Isuzu parts. This marks the fourth year in a row that Isuzu has established records in these important metrics. In addition, Isuzu parts sales increased 5.9 percent versus 2017, setting another record. "Despite increased competition, four factors worked in our favor to make 2018 a banner year," said Shaun C. Skinner, president, Isuzu Commercial Truck of America and Isuzu Commercial Truck of Canada, "those factors being the loyalty of our customers, the dedication of our dealer body, the hard work of our field force and the superiority of our product line. "We anticipate that we will continue our momentum in 2019. Unemployment is low, housing starts are expected to run at strong levels, and consumers continue to turn to online retailers, meaning an increasing need for delivery trucks. With a lineup that ranges from Class 3 to Class 6 and includes diesel, gasoline, LPG and CNG engines, we are well positioned to make 2019 another record-breaking year for Isuzu," Skinner said.